I have searched the internet for tutorials and googling for solutions, but I cannot find it. So, I hope by posting here somebody can help me. 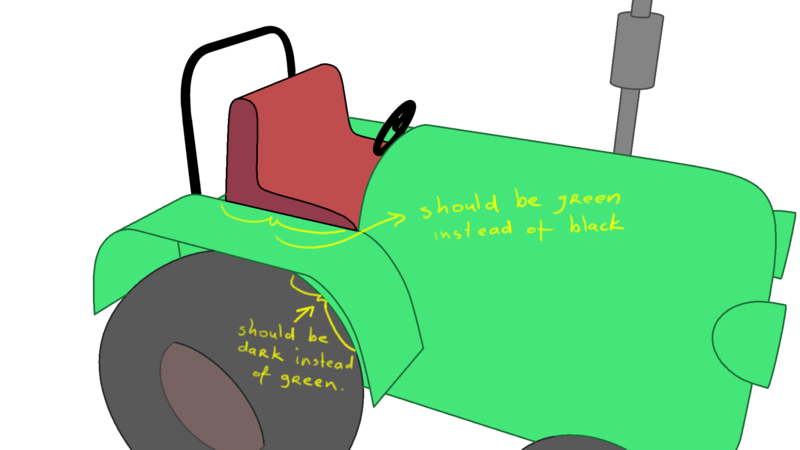 I am trying to render a model of a tractor with contour rendering available in maya’s mental ray. But the lines keep overlapping, even though the meshen dont overlap. Is there a way that I can render with mental rays contours without the lines overlapping? I am using ye olde maya 2013. Mental ray doesn’t exist anymore, switch to Vray next. I know that nvidia has stopped developing mental ray, but because I am using maya 2013 I thought perhaps there is someone on this forum who can h elp me. I have figured out one thing, and that is that the scale of the model was totally off. I was working in cm, so the tractor was 5 cm long, while it should be 2 meters. After setting the working units to meters, and scaling the tractor, most lines stopped overlapping.